Who doesn't like to eat? Here we will share how we live a Paleo lifestyle! 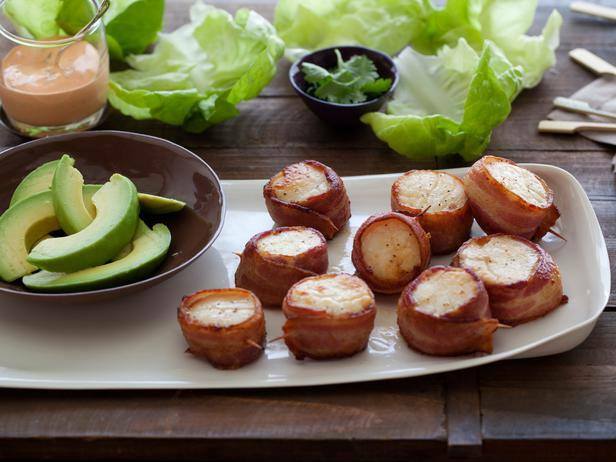 Scallops wrapped in bacon served on boston bibb lettuce with avocado and homemade mayonaise with capers! Yum! It's one of my favorites and one that my father-in-law Bill tease me about that if I'd make that weekly, he'd be moving in!! Originally posted by Redbook, these are truly 12 must haves in our diet. Hear fom dieticians who discuss why they choose to eat these superfoods.